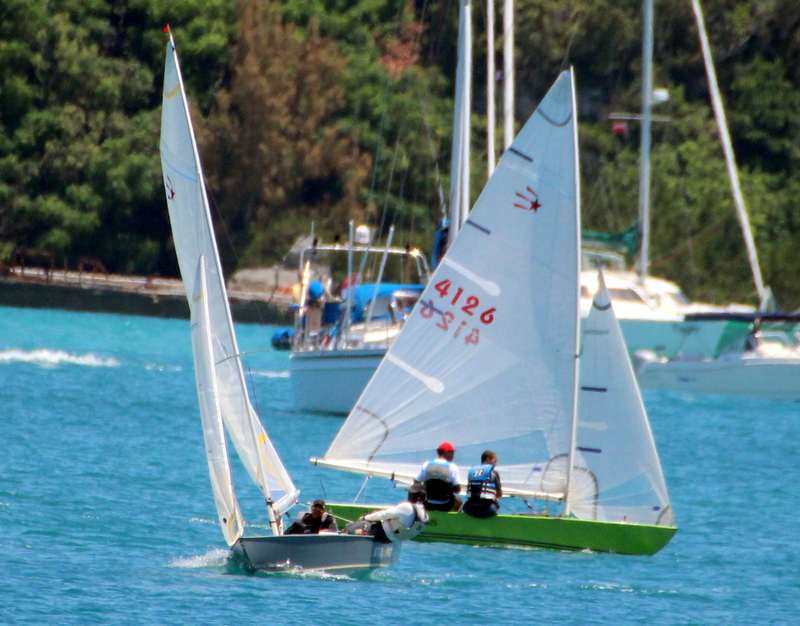 The Bermuda Comet Class took to the St. George’s Harbor for their final race day before the Edward Cross Long Distance Race. Maxwell Curtis & Stephan Furbert sailed to victory in the only race of the day. George Hayward and his crew Jade Smith were leading the race, but the capsized on the final leg, with Curtis and his crew Furbert taking the advantage. Quinton Simons and his crew Greg Proctor was second and Dale Brangman and his crew Keyan Webb finishing third.